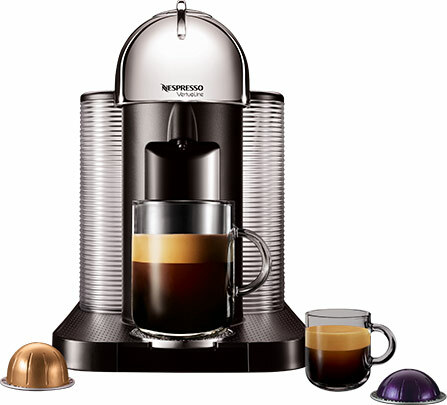 Nespresso VertuoPlus vs. VertuoLine, What’s New and Should You Upgrade? 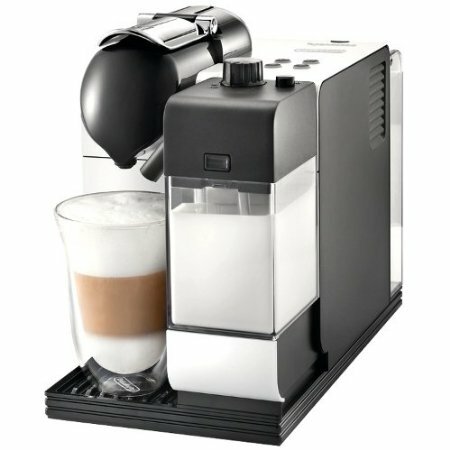 Nespresso VertuoPlus Deluxe, Is It Different Than The VertuoPlus? 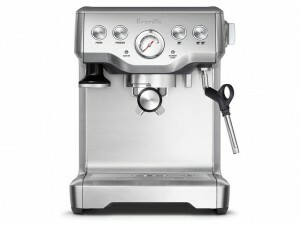 Why Is The VertuoPlus Branded with DeLonghi and VertuoPlus Deluxe Branded with Breville? How Is VertuoPlus Different Than VertuoLine and Evoluo Nespresso Machines? 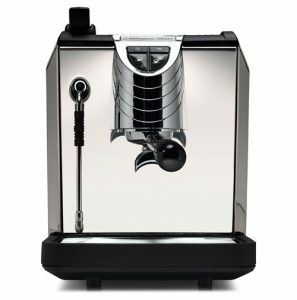 How To Make a Cappuccino or Latte Using VertuoPlus? Should You Upgrade To The VertuoPlus? 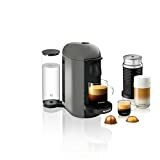 Nespresso continues to evolve and upgrade their line of espresso and coffee machines VertuoLine, tweaking the design and features to make it even better. 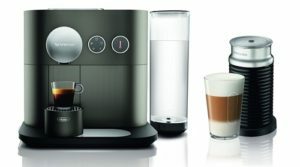 The VertuoPlus is an example of this, it’s a newly redesigned machine to add to the VertuoLine collection from Nespresso. What is it and how is it different from the VertuoLine and Evoluo? That’s what we will talk about in this post. 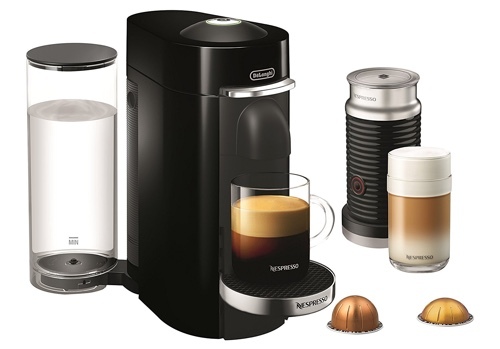 Espresso and Coffee maker by Nespresso – designed to work with VertuoLine capsules only. Slim design with moveable water reservoir that can slide right, left or behind the machine. 40 oz water tank capacity. 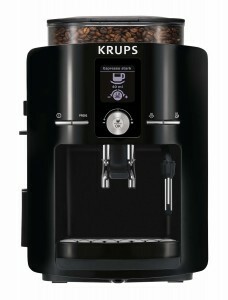 Automatic capsules recognition adjusts the machine to the optimal settings for that capsule. 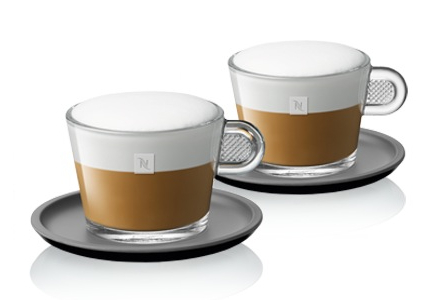 Three cup sizes: 1.35 oz espresso, 8 oz and 14 oz coffee. The top of the machine (the lid that lifts to insert the capsule) is motorized. It opens up and closes automatically. 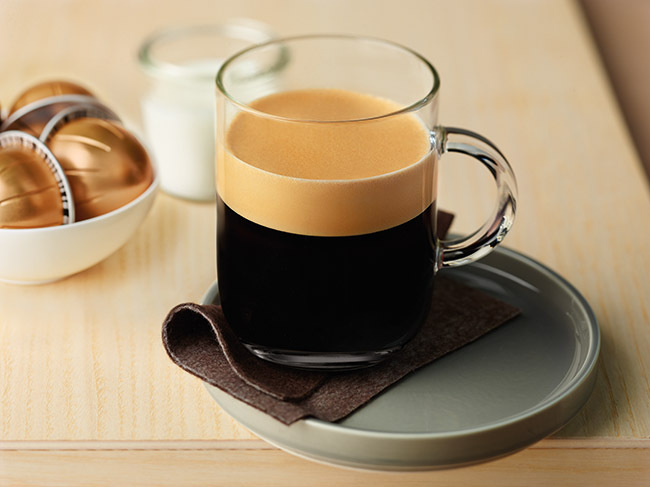 Includes a sample pack with each available Vertuoline capsule for espresso and coffee. 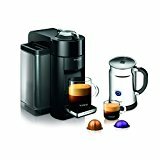 Click here to learn more about VertuoPlus espresso and coffee maker, read the customer reviews and buy it. No, features wise, both are exactly the same. The VertuoPlus Deluxe has a larger 60 oz water reservoir and design wise, it has some chrome accents. Everything else is the same as the VertuoPlus. 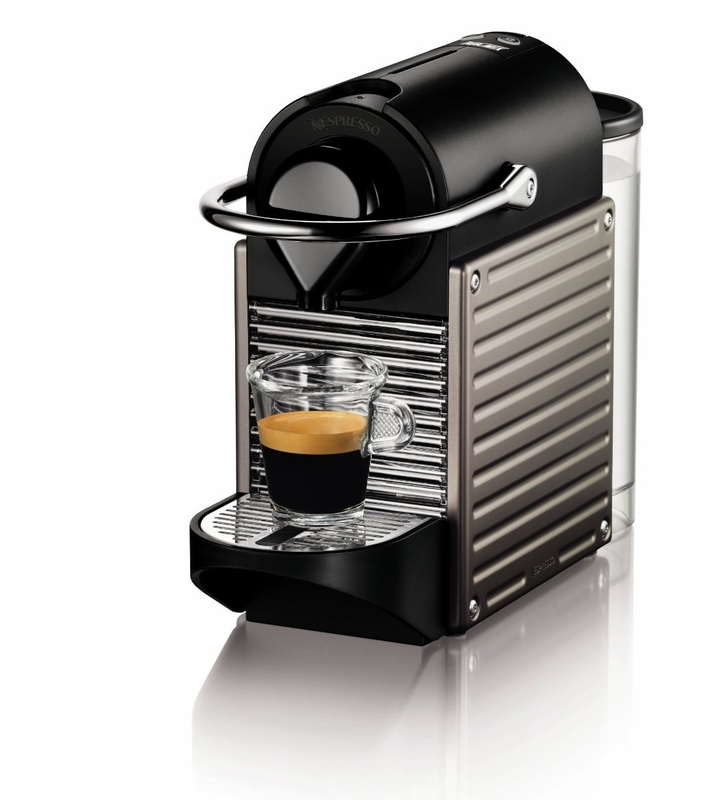 Click here to learn more about the VertuoPlus Deluxe, read the customer reviews and buy it. 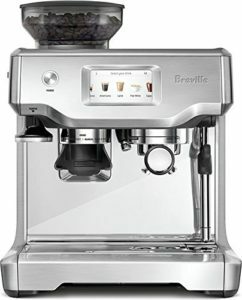 We’ve been getting this question for a long time, ever since the release of machines like the DeLonghi Lattissima and more recently Breville Creatista Plus, which all are basically Nespresso machines but have other brand names. The answer for this is rather simple. These good companies are not trying to confuse you, that’s for sure. 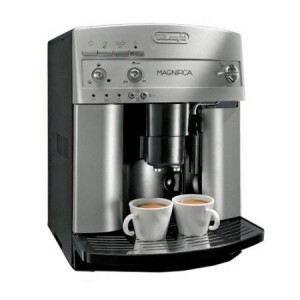 Actually, they partner up to bring you the best of their technologies to make the best coffee makers possible. 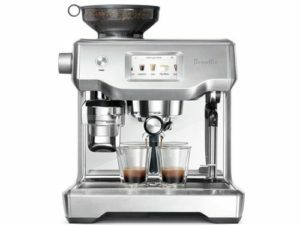 This the case of VertuoPlus, Nespresso has partnered with DeLonghi and Breville to help them distribute their machines. 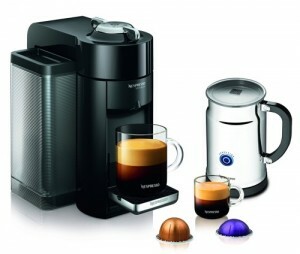 The VertuoPlus and VertuoPlus Deluxe are still Nespresso machines and are made exclusively to brew VertuoLine capsules. They all use VertuoLine capsules (coffee or espresso) exclusively. 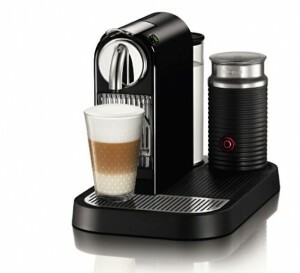 Other OrignialLine capsules by Nespresso will NOT work with these machines. 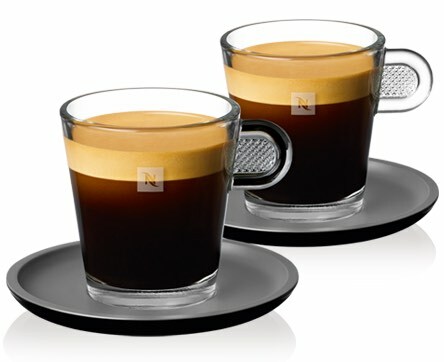 They use Nespresso’s Centrifusion technology. 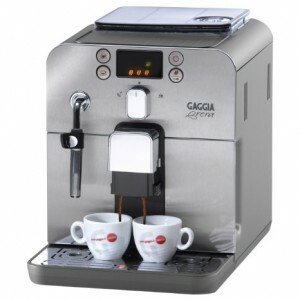 Unlike other machines that use a pump to force water through capsules to produce the coffee, Centrifusion spins the capsules rapidly while mixing it with water to extract the coffee. When you start the brewing process, you’ll notice is sounds kind of like a fan is spinning. 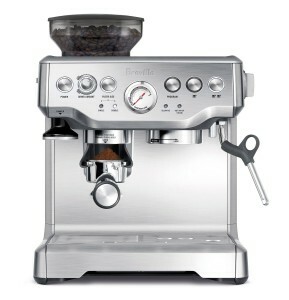 Yet, it is still much quieter than other coffee and espresso machines. The VertuoPlus has the biggest design difference with its moving water reservoir. 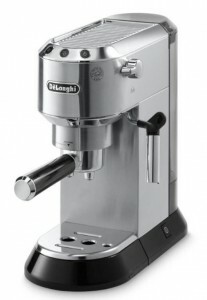 You can set it up in a way that fits your counter top without any issues. Rotate it to the right side, left side or keep it in the back. As of this time of writing this post, only the VertuoPlus has this design feature. Another thing that only the VertuoPlus has (as of now) is the motorized head. You might think this isn’t an important thing, but it really makes a huge difference since you’ll be closing and opening this part of the machine multiple times on a daily basis. Without automating this part, there are chances of breaking it by slamming it down or flipping it up too hard. But when it closes down slowly, on its own, there’s less force on it and less chances of it breaking. Other differences has to do with the water reservoir capacity: With the VertuoPlus and Evoluo, both have 40 oz water reservoir. 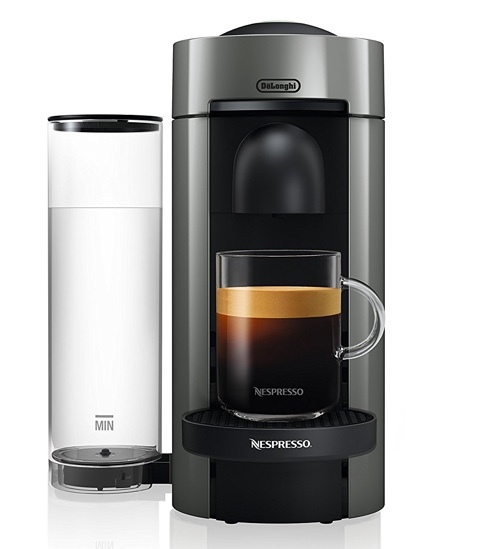 The Deluxe version of the VertuoPlus has 60 oz capacity but the Deluxe version of the Evoluo has a 56 oz capacity. What About the first-gen VertuoLine? We don’t recommend the first VerutoLine over the newer Evoluo or VertuoPlus for one reason. 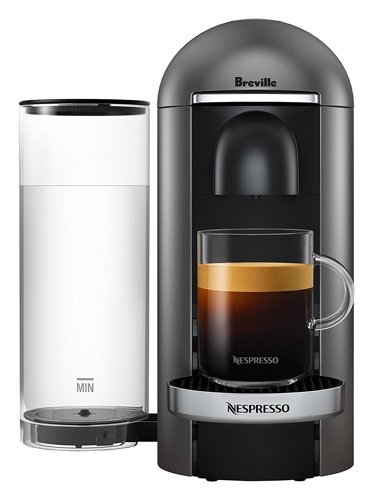 That original model has a design flaw that produced a coffee that is not hot enough. 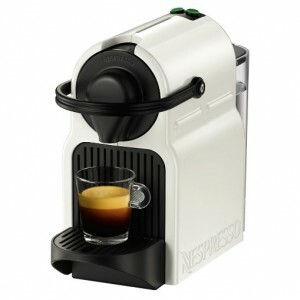 Since then, Nespresso released the Evoluo and VertuoPlus with a fix that makes hotter coffee than the VertuoLine. It is an outdated model for sure and it’s not worth it to buy. If you happened to enjoy milk based coffee drinks like Cappuccino or Latte, we highly recommend that you get your VertuoPlus in a bundle that includes a milk frother. 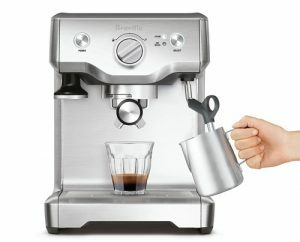 On its own, the VertuoPlus does not have a built-in milk frother so it only brews coffee or espresso, the base of those delicious coffee drinks. 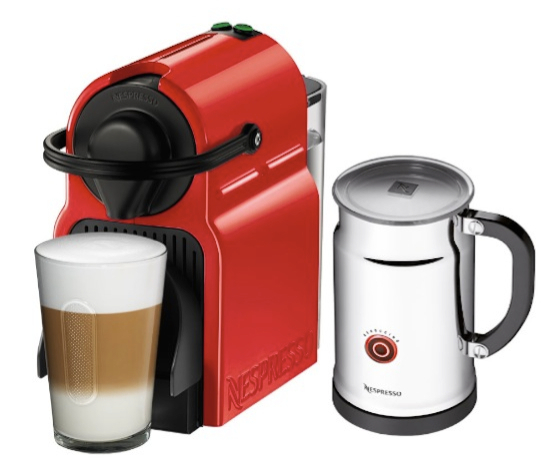 By getting a bundle, you get your VertuoPlus with an Aeroccino electric milk frother. 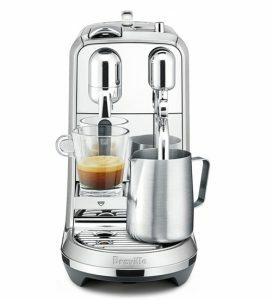 This frother automatically heats up and froths milk with a touch of a button, and can create cold froth, too. 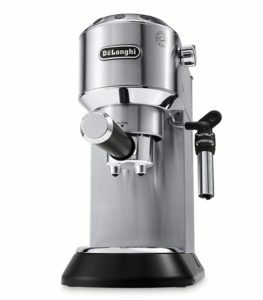 If you don’t like Nespresso’s milk frother, you can always get one from another brand. See our recommendations here. Click here to see this VertuoPlus bundle, read the customer reviews and buy it. 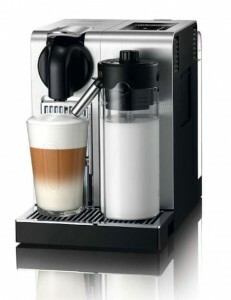 If this is going to be your first Nespresso Vertuoline machine, then yes, absolutely! VertuoPlus is definitely worth it and you’ll enjoy having it. 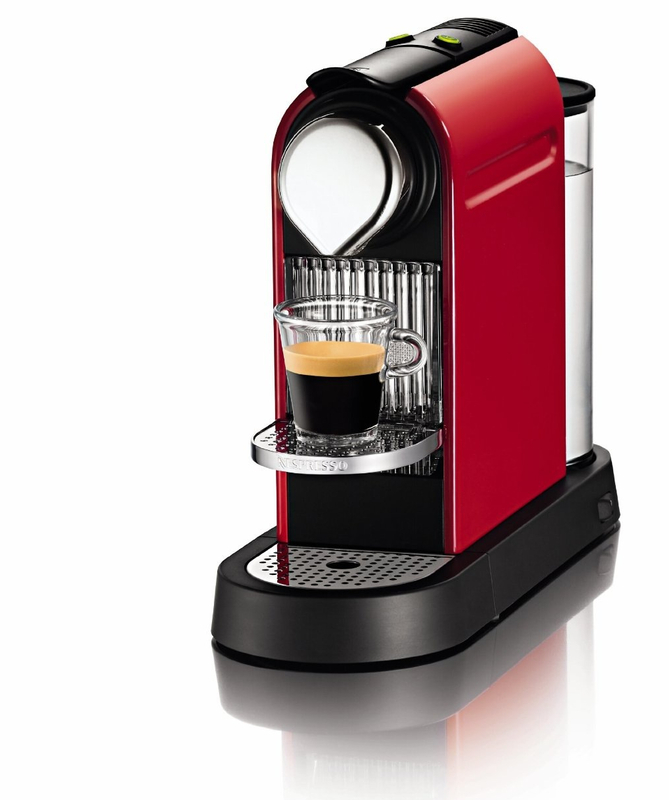 If you’re currently an owner of a Nespresso Evoluo, then we don’t see a reason for an upgrade. The VertuoPlus and Evoluo offer the same performance and the difference between them is only aesthetic. 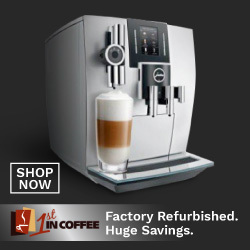 If you’re a VertuoLine machine owner, and you’re not happy about the temperature of the coffee your machine is producing (but you’re satisfied with the taste and quality), you should consider an upgrade as the new models fix this issue while offering you the same great coffee.